[아시아엔=편집국] 유엔환경계획(UNEP)은 5월12일 “아시아와 아프리카에 불법투기 또는 불법거래된 전자폐기물이 매년 4천만t 이상 된다”며 “국제사회 차원의 대책이 시급하다”고 촉구했다고 인도 온라인매체 <더힌두>(The Hindu)가 15일 보도했다. 매년 불법거래나 무단 투기되고 있는 전자제품 폐기물은 190억 달러어치에 이르는 것으로 알려졌다. 전세계 전자폐기물 90% 이상이 선진국에서 개도국으로 수출되고 있다. 유럽연합(EU) 회원국과 미국 일본 등이 주요 수출국이며, 아시아에선 중국, 파키스탄, 말레이시아 등이, 아프리카에선 나이지리아 및 가나가 주요 수입국이다. 특히 유럽산 전자폐기물 대부분은 인도대륙으로 수출되며, 전자폐기물뿐만 아니라 가구제품, 금속, 타이어 등 재활용하기 힘든 각종 폐기물이 ‘중고품’으로 기재돼 인도와 파키스탄으로 불법 매매되고 있다. 이러한 불법폐기물은 이들 국가의 환경을 위협하고 있다고 UNEP는 전했다. 이와 관련 UNEP는 “유럽, 미국 등 선진국이 전자폐기물을 아시아 국가로 수출하는 것이 자국에서 처리하는 비용보다 1/10 이하밖에 안 들기 때문”이라고 밝혔다. UNEP는 2년 안에 전자폐기물이 5천만t에 이를 것으로 내다보고 있다. According to a report by United Nations Environment Program (UNEP), much of the 40 million tons of electronic waste produced around the world is illegally dumped or traded to Asia and Africa every year. This includes TVs, laptops, old smartphones and kitchen appliances. . Almost 90% of the world’s e-waste, worth nearly $19 billion, finds its way to Asian and African countries. While the primary originators of e-waste shipments are European Union, the US and Japan; China, India, Pakistan and Malaysia are the main destinations in Asia, and Nigeria and Ghana in Africa. 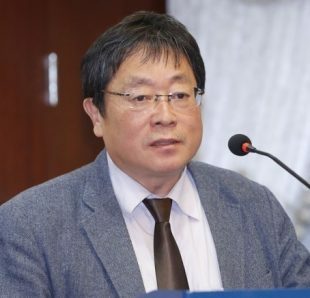 Illegal trade mainly works in favor of the e-waste origin countries because of the relatively low costs of shipment and the high costs of treatment. Exporting e-waste to Asia worked out 10 times cheaper than processing it in within these countries, the UNEP report says, quoting an U.S. Environmental Protection Agency study. Although it is legal to export discarded products to poor countries if they can recycle and reuse or refurbish them, much of the waste is shipped under false pretenses, according to Interpol. They are falsely classified as ‘used goods’ but much is non-functional which results in the useless products being labelled as ‘used goods’ in black markets to avoid the recycling costs. A considerable amount of e-waste is treated in informal sectors, which also leads to environmental pollution and health risks for local population. Much of the waste ends up in landfills, incinerators and recycling facilities (usually ill-equipped). Usually, it is dumped in areas where people and workers dissemble the units, collect valuable parts and discard the rest, creating many environmental problems and leading to what has been described as a ‘toxic time bomb’. Currently, Europe and North America are the largest e-waste producers but Asian countries like China are catching up as consumers and e-waste producers. 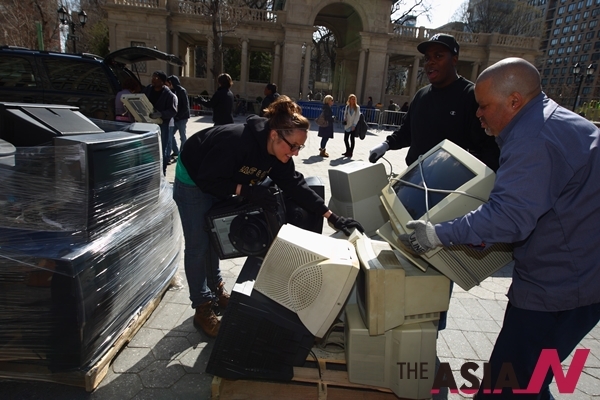 In two years, the total amount of e-waste generated around the world will touch 50 million tons.